All Pandle users are able to create multiple companies in Pandle if they wish. account as normal by visiting the website. You will have to use a different email address for this new account and will have to manage these companies separately. If you are a Pandle Pro user, you can manage your companies within one Pandle account, toggling between the two. Firstly, you will need to create a new account using a different email address to your existing Pandle account and then set up your other company as normal. You can create a new account here. Once your other company has been created you will need to add a new user to the account you wish to manage your companies from. 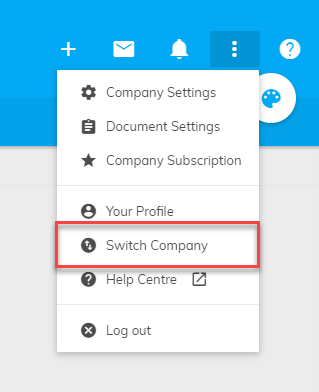 This account will need to be on our Pandle Pro plan, which will allow you to switch between your companies with ease. If you wish to switch between your companies from one Pandle account then each company will need to be on our Pandle Pro plan.